The use of new information and communication technologies both inside the courts and in private online dispute resolution services is quickly changing everyday conflict management. However, the implications of the increasingly disruptive role of technology in dispute resolution remain largely undiscussed. 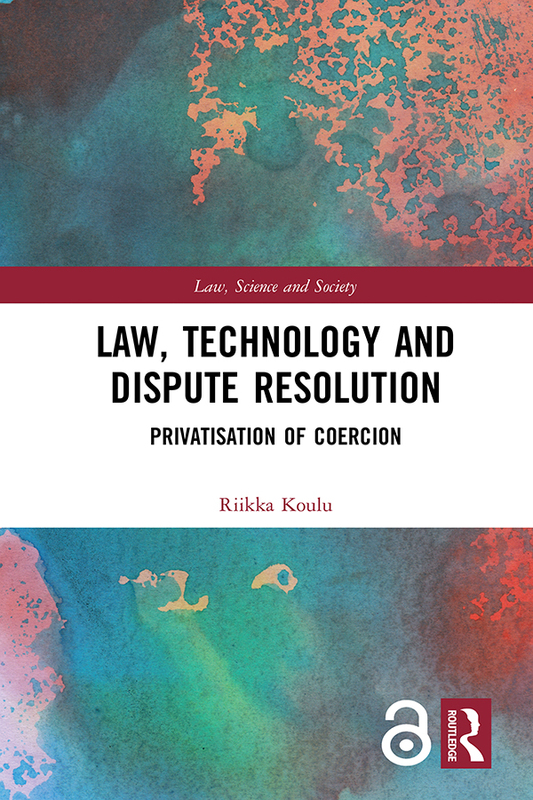 In this book, assistant professor of law and digitalisation Riikka Koulu examines the multifaceted phenomenon of dispute resolution technology, focusing specifically on private enforcement, which modern technology enables on an unforeseen scale. The increase in private enforcement confounds legal structures and challenges the nation-state’s monopoly on violence. And, in this respect, the author argues that the technology-driven privatisation of enforcement – from direct enforcement of e-commerce platforms to self-executing smart contracts in the blockchain – brings the ethics of law’s coercive nature out into the open. This development constitutes a new, and dangerous, grey area of conflict management, which calls for transparency and public debate on the ethical implications of dispute resolution technology.